Being the warrior princess, you will need this cool costume to look mighty and powerful. 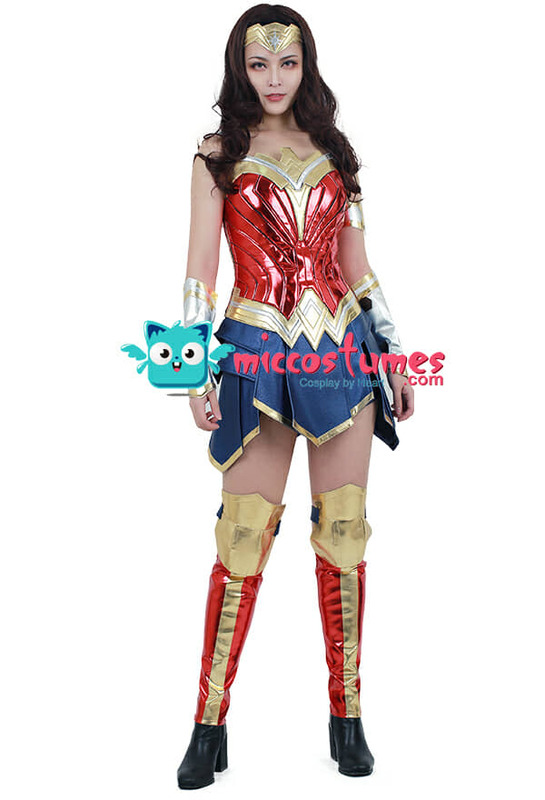 The Dawn of Justice Wonder Woman cosplay features a shiny red strapless dress of splice patterns. There is a zipper on the waist, and the EVA and pu leather used keep the costume in good shape. 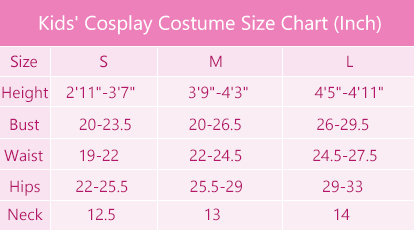 Headband, arm band, arm warmers, leg guards and shorts underneath are all included, does not include wig or shoes. This superheroine cosplay costume is inspired by Wonder Woman movie. Order to made. It is not an official DC Comics product, not approved by or associated with DC Comics, but carefully manufactured by KISIBE Studio. 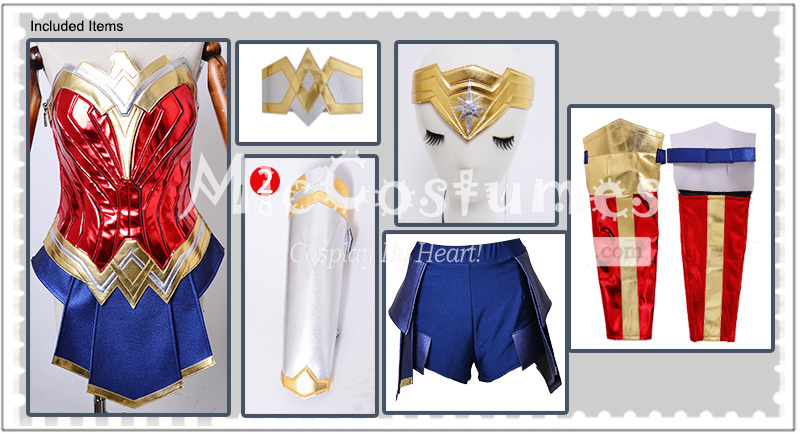 Have been looking for the costume of the wonderwoman for a long time. I am really very happy about this costume. It didn't make me desperate. A very complete suit of costume. It is an accurate suit of this version. Materials are so nice. When i received the package. It was good and no missing items. And the delivery are so fast. It arrived before promised date. The strapless suit is fitted. Their size chart is very accurate. The length of shorts as I think is very suitable for me and for this character. Really a very accurate costume. so fabulous.